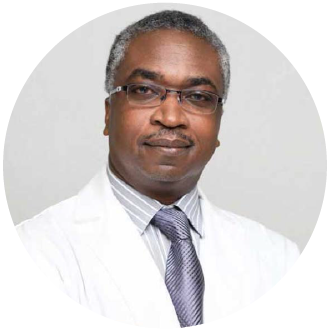 The Okyanos team is led by President Dr. Vincent Burton. He is supported by Clinical Administrator and Director of Nursing Gretchen Dezelick. R&D e orts at Okyanos are led by Dr. Marc Penn. The treatment team includes MDs and surgeons board certi ed in plastic surgery, orthopedic surgery and regenerative medicine as well as RNs, surgical technicians, echocardiographic technicians and cell processing specialists trained in the delivery of regenerative therapies. Dr. Burton completed his residency training in the United Kingdom at Queen’s Hospital of Sta ordshire, Norfolk and Norwich University Hospital as well as Addenbrooke’s Hospital Cambridge University. He is a Fellow of the Royal College of Anaesthetists (FRCA). He previously served as House O cer at the Rand Memorial and Princess Margaret Hospitals in Nassau and Senior House O cer at the Rand Memorial Hospital in Freeport. Previously Dr. Penn served in numerous cardiology positions with the Cleveland Clinic (2000-11) including as Director of the Coronary Intensive Care Unit, Director of the Experimental Animal Laboratory, Director of the Bakken Heart-Brain Institute and Founding Director of the Center for Cardiovascular Cell Therapy. In 2011, Dr. Penn was recognized as one of the Top 50 Doctors in the History of the Cleveland Clinic. Gretchen has more than 35 years of nursing experience progressing from bedside nursing to administrative and management positions in a variety of healthcare settings. Gretchen has been a Certi ed Critical Care Nurse (CCRN) for more than 20 years, a Certi ed Peri-Operative Nurse (CNOR) for more than 8 years and is a Licensed Healthcare Risk Manager (LHCRM) as well. The Okyanos Orthopedics team consists of world-renowned, board certi ed physicians and surgeons from Europe and North America who combine traditional orthopedic and regenerative medicine therapeutics to treat chronic conditions and injuries, as well as pain management and reduction. Dr. Michael Price is board certi ed in both orthopedic surgery and regenerative medicine. He treats patients for back pain, joint pain, knee and shoulder issues, as well as neurological disorders, using both standalone stem cell treatments and combining them with advanced techniques in arthroscopic procedures. Published author and sought after speaker, he is a diplomat of the American Academy and Board of Regenerative Medicine and a fellow of the American Academy of Orthopedic Surgery. A graduate of the Medical College of Georgia in 1992, Dr. Price practices at multiple o ces in Los Angeles. He trains physicians worldwide in best practices for achieving maximum bene t with adult stem cell therapy for orthopedics. 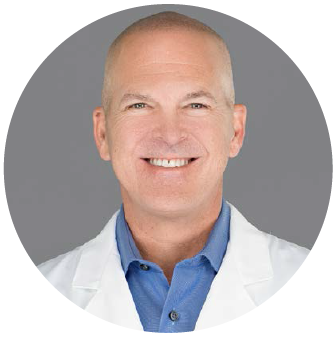 Dr. Philip B. Schoettle is a strong proponent of regenerative medicine and adjunctive approaches to treatment of the knees, shoulders and other joints. Renowned for his work in reconstructive knee surgery, he is also an expert in general orthopedic treatments and sports medicine. Dr. Schoettle is Senior Medical Director of the Knee and Hip Institute in Munich, Germany. Author of more than 60 peer-reviewed articles and contributing author on 10 books, he earned his medical degree from the University of Munich in 1998 followed by training at the Universities of Paris and Zurich, and the Center of Musculoskeletal Surgery at Charité in Berlin, where he wrote his PhD thesis about Patellofemoral disorders. An expert in sports medicine and complex shoulder and knee injuries, Dr. Stiebel is board certi ed in orthopedic surgery. He began using stem cell therapy with meniscal repairs of the knee during his Orthopedic Sports Medicine Fellowship at Boston University. Dr. Stiebel uses the latest orthopedic surgery techniques along with regenerative medicine at his practice in West Palm Beach, Florida. At Okyanos he works with our treating physicians who provide advanced stromal vascular fraction (SVF) stem cell therapy both alone and combined with the latest arthroscopic techniques. A graduate of Yale School of Medicine, Dr. Stiebel worked with the Montreal Canadiens and the Expos as a Fellow of the Royal College of Surgeons of Canada. He is a noted lecturer with the International Patellofemoral Research Group in London and New York.